Over 110,000 people from almost 100 different countries came together for the Mayor’s London New Year’s Eve Fireworks. It was a great way to show the world that #LondonIsOpen to everyone. To be there next year - sign up for ticket alerts today. For the first time ever this year, viewers could enjoy an exclusive live 360° view of the fireworks online with the BBC. Millions also tuned in to watch the event live on TV. London New Year’s Eve Fireworks is one of many celebrations the Mayor puts on every year. To keep up to date with all the Mayor’s events - register for our events newsletter. Find out what happens behind the scenes! How do you organise one of London's biggest events? Lieran is the New Year's Eve project manager from the Mayor’s Events for London team. 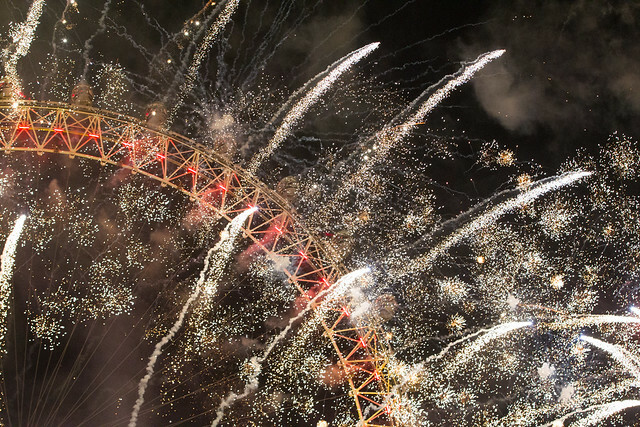 In her blog she tells us what it’s like to organise London's biggest New Year's Eve yet. And Chris from the BBC gives us the scoop on the 360° viewing experience - so you can watch the fireworks wherever you are! Which countries have bought the most tickets so far? The first batch of tickets sold out in 18 days, to people from almost 100 different countries - proof that #LondonIsOpen, and London New Year’s Eve Fireworks is a global event! Find out which countries bought the most tickets. All your questions are answered on our New Year's Eve Fireworks Frequently Asked Questions page. Why is the event ticketed? We started ticketing London New Year's Eve Fireworks in 2014 as crowd numbers had grown hugely over the years. It was decided that ticketing was the best way to manage the crowd size in future and keep the event safe. A review of the first two years of ticketing shows that it’s been a great success. It’s stopped overcrowding in central London. It's also meant that everyone with a ticket has been able to see the display. Do you live or work in the area? Access to your home or business may be affected on the day. Read our information for businesses and residents.